And that price is not nearly as much as you might think. Last Saturday, lil-Chelsea Clinton spoke at a #RiseUpforRoe event in New York, where she and other pro-abortion leftist women rallied against Brett Kavanaugh’s confirmation to the Supreme Court. The other day Rush Limbaugh spoke of an article posted on Zero Hedge. If you’re not already – you should become a regular reader. The article entitled “33 Shocking Facts Which Show How Badly the Economy Has Tanked under Obama.” Okay, it’s a bit wordy but it does alert you. After reading it I couldn’t let it go without editorializing on at least some of the 33 facts. 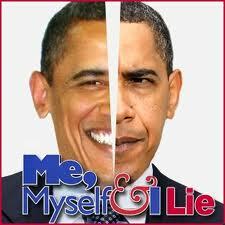 If you’re an Obama sycophant, you may want to make yourself a little sign to hold up while reading. When you feel “The One” has been somehow maligned, just hold it up in front of you. The sign should simply read, “It’s All Bush’s Fault” or “Obama Inherited This Mess”. Once a month the “jobs” or employment numbers are released. Oftentimes the media hail improvement in the figure, as if we were heading in the right direction. What they fail to report, due to agenda or ignorance, is that, “#2: Since Obama has been president, seven out of every eight jobs that have been ‘created’ in the US economy have been part-time jobs“. That is an astounding figure and ties directly into the reason that, “#4: It is hard to believe, but an astounding 53% of all American workers now make less than $30,000 a year”. Now you’ll notice the last quote stated “American workers“, for we’ve seen and heard that many welfare recipients clear far north of $30,000, tax-free. I wrote an article some time ago trashing LBJ’s “Great Society” and “War on Poverty”. In it I stated that the poverty rate when the “war” began in 1965 was about 10%. Decades later and trillions of dollars of transfer payments later led to a rate still around 10%. Well, sad to say, there is an update: “#14: The poverty rate has shot up to 16.1%. That is actually higher than when the war on poverty began in 1965”. Which dovetails directly into: “#15: During Obama’s first term, the number of Americans on food stamps increased by an average of about 11,000 per day”. I live in a city of about 100,000 people. That means every 9.5 days the entire population of my city is added to the food stamp rolls. Incredible! Why so much? Well, debt is the amount one owes – hasn’t paid back. If one has no job, how is one to pay the debt? Couple that with the crony socialism of the university’s ability to continually raise their tuition rates without suffering any Administration or media backlash and voilà, massive student loan debt. Well are you? This country, like those in Europe, cannot continue down this path. If things don’t change, and I mean radically and quickly, that $50,000 payment will come due. Glenn Beck interviews free market author Jim Rogers regarding Obama’s State of the Union show and the actual “state of our union”. This past election has taught me a couple important lessons. One is that evidently, cheaters do prosper, at least temporarily. That, however, is a discussion for another time. The second is, what is really important to concentrate on going forward. What I’ve discovered is that relatively minor issues are constantly sidetracking us. It isn’t that they are not important, they are, but we need a grander vision. Issues like pro-life versus pro-abortion, homosexual marriage, funding PBS and such. They are all important, but without a viable and vibrant free Republic to decide them, they are all meaningless. 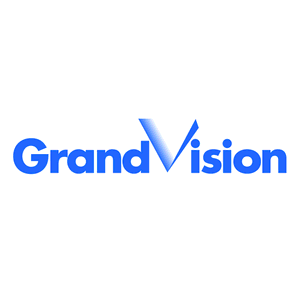 Thus is my grand vision. Going forward, I have decided to concentrate on three major issues. If I am unable to find candidates that concur on these positions, I cannot and will not vote for them. No more exceptions! 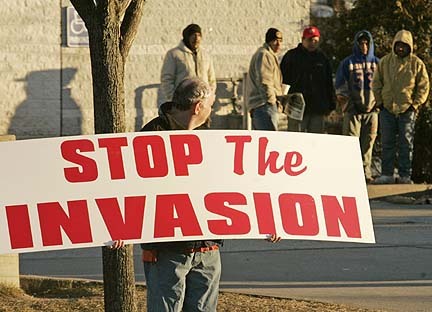 The three issues are the economy, national defense and illegal immigration. I chose these because I believe them to be the fire triangle of America, as it were. 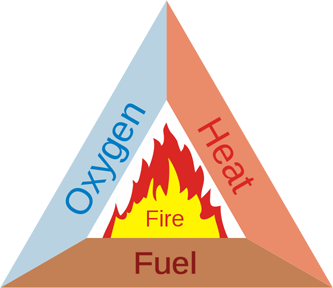 If you recall, the fire triangle is named for its three essential components; fuel, heat and oxygen (air). A fire must have these three components in order to be maintained. If you take one of these components away, the fire cannot sustain itself and will extinguish. Likewise, if you are lacking just one of these the fire will not ignite. Let’s examine the three components of my newly adopted “Growth Triangle”. The fuel of the “fire triangle” would equate to the American economy. Mitt Romney touched on this during the campaign. Without it, obviously we would cease to exist as a nation. But there are many types of fuel for fire. If one were to make a fire using only sticks and twigs, it would still be considered a fire, albeit a small one and not much good for warmth, cooking and fending off predators. The small fire could be sustained, however would service but a very few. If however, you added large logs, thus greatly enhancing the fuel source, quite soon the fire would grow, providing ample warmth, a reliable cooking source and a formidable barrier for predators or enemies. Merely maintaining a small economy is not good enough either. A weak economy is the twig and stick fire. Yes, it’s a fire, but a pretty sorry one. The twigs, sticks and logs equate to jobs that fuel economy. Adding little twigs and sticks to your fire will never do. Large logs must be added to keep it stoked properly. Without these logs, the fire cannot grow and without jobs, lots of jobs, nor can the economy. The heat of the fire triangle, I liken to our national defense. Without heat the fire cannot be sustained, regardless of the fuel source. You may add all the sticks, twigs, logs or even gasoline you like and without heat they will never ignite. Thus is the dependency of the economy and a strong national defense. No economy can thrive and grow without protection. When the heat is drastically reduced, the fire will not extinguish, but will become much more vulnerable to attack by the slightest rain or wind. Thus it is regarding national defense. By drastically reducing our military, we become more vulnerable to attack and not just by a large force. Immigration has always been the oxygen of the “Growth Triangle”. Without a constant stream of fresh air, no amount of fuel and heat will sustain a fire. On the other hand, too much wind and the fire will be blown out. The fires fresh a ir supply must be controlled. Two little and the fire will choke; too much and it will also succumb. Such is it with immigration. Too few legal immigrants and our country becomes lazy and stagnant. Too many and the fuel and heat cannot maintain the imbalance. No fire or economy can sustain the hurricane force winds of illegal immigration. Looking ahead, I pray I can find at least a few viable candidates that fit into my “Growth Triangle”. It is sad they all don’t. A funny thing happened upon release of the monthly unemployment statistics yesterday. A few journalists in the mainstream media began to wake up. While there are still plenty of headlines floating around today that are some variation on “Unemployment Down Despite Lack of Jobs, Obama Yay,” a few journalists appear to have noticed the oxymoron inherent in the story pushed by the Obama Labor Department. While the unemployment rate technically fell from 8.2 percent in March to 8.1 percent in April, only about 115,000 jobs were added, not enough to account for the statistical improvement of jobless figures. The secret number that’s being buried this month is the increasing number of people who are just giving up and leaving the labor force altogether. About half a million unemployed people who were counted as being in the labor force in March were removed from the April figures, drastically shrinking the number of people considered unemployed, without increasing jobs. The Associated Press’ chairman is William Dean Singleton, who last month slobbered all over himself while introducing President Obama at a luncheon. Singleton also owns hundreds of newspapers across the country and is probably singlehandedly responsible for running more newspapers into the ground than any human being in the last century. Under Singleton’s leadership, those newspapers that haven’t closed outright have whittled their staffs down to near nothing, virtually eliminated local and original reporting, and ultimately just become print versions of the Associated Press and New York Time wire service, with local banners and ads. As the Associated Press has swung Left under Singleton, a substantial portion of America’s newspapers have blindly followed. Reuters, owned by the Thomson Corporation of Canada, operates in somewhat different circles than the AP leadership. 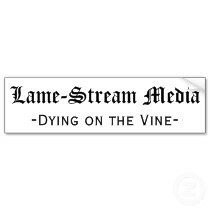 One story doesn’t mean any media outlet is changing its tune, but it would be nice if professional reporters started leaving the rose-colored glasses at home when covering the Obama Administration. 1) The margin of error for that 115,000 jobs number is 100,000. My prediction; the paultry 115,000 will quitely be revised down. Watch for it next week. It always happens. 2) 125,000 to 150,000 jobs must be added each month just to keep pace with work force population growth. 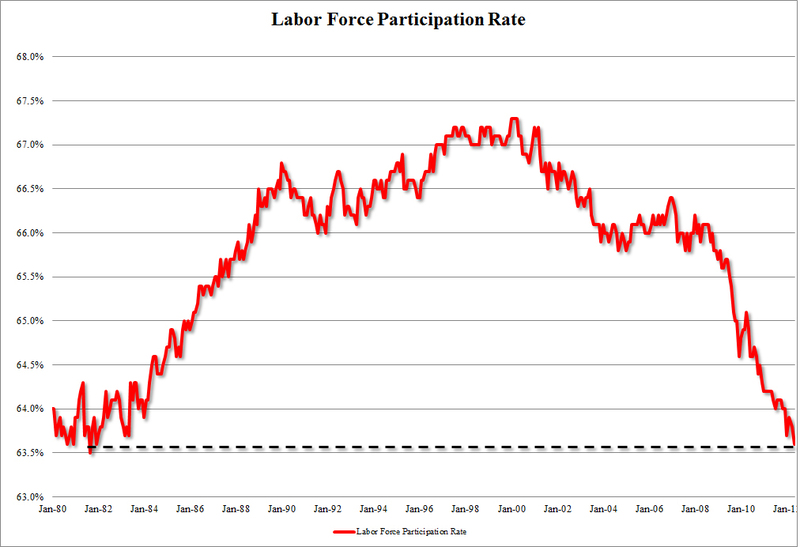 3) The Workforce or Labor Participation Rate is at 63.6%, the lowest in 30 years (1981). 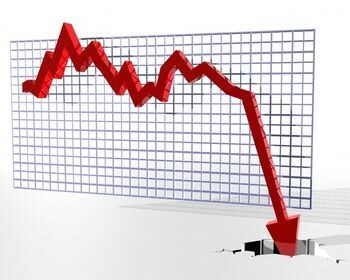 The labor force dropped 522,000 off the books to total over 88,000,000 discouraged Americans no longer looking for work. Simply put, by dropping people off the books, the government can claim any unemployment rate it wishes without adding a single new job. Remember this? 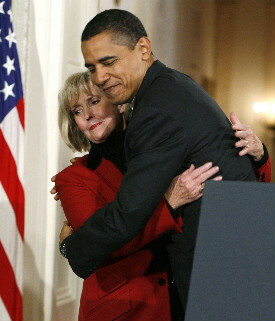 In 2009 President Obama signed the ‘Equal pay for Equal Work’, also known as the ‘Lilly Ledbetter’ act. It was a banner day for women all across America. Thanks to our beloved president, finally women would get their due. The report below claims that women in the private sector fare worse than those in government who, apparently, are already treated as equals. That’s great! At least the White House is leading the charge and practicing what they preach. Could it be that Obama talks a good game but doesn’t back it up? All of President Barack Obama’s employees may not be treated equally in the White House, as recently released financial records show that female employees earn significantly less than their male counterparts. Using the 2011 annual report of White House staff salaries that was submitted to Congress, an $11,000 difference is clear between the median female employee salary and the median male employee salary. This news comes on top of continued criticism- of both President Obama and prior presidents- that women are underrepresented in the White House. Of the administration’s 20 top earners, who each took home a tidy $172,200 for their work in 2011, only six of those were women. The most oft-singled-out leading lady in the President’s testosterone-fueled inner circle is Valerie Jarrett who is one of his closest advisors. That said, she has been with the President since his days in Chicago and is seen as one of his close personal friends as well as a trusted advisor. The gender differential has been noticed outside of the White walls, and Dee Dee Myers- the first female press secretary who worked under the Clinton administration- feels it is not doing Mr Obama’s team any favors. ‘Women are Obama’s base, and they don’t seem to have enough people who look like the base inside of their own inner circle,’ Dee Dee Myers told The New York Times. The hefty salaries, like Ms Jarrett’s, were not the norm, however, as the median salary for women in the White House is $60,000 which is 18 per cent less than their male peers whose median salary was $71,000. This is not the first time that a pay disparity has been present in Mr Obama’s White House, as it started as soon as his time in office did. 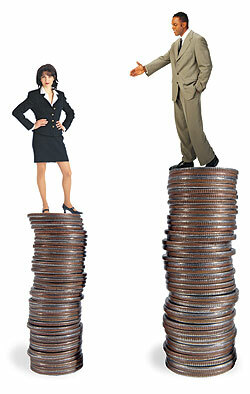 In 2009, women made 89 cents for every dollar that men made in ‘the People’s House’. On average, that came out to $9,390 less. While that looks like last year’s calculations would mean a more drastic increase, those figures were compiled on the median salaries and not the mean so the two numbers are not exactly compatible, but they do show that there has not been a marked improvement in the situation. Though the White House is not setting a great example, it is doing better than most: a recent national survey claims that women still make 23 cents less than men for every dollar earned. 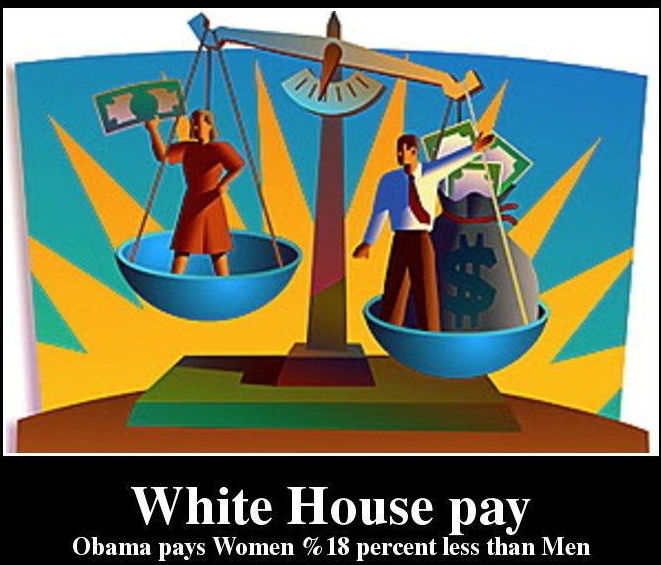 That may present more of a problem, as the President’s platform clearly values equal pay, as Mr Obama signed the Lilly Ledbetter Fair Pay Act only nine days into his term. The current administration’s gender differential is certainly not the first, as former President Bill Clinton only had four women among his 17 top paid employees. The downward trend continued with President George W. Bush, who only had 35 women among his top 122 workers. Unlike in previous years, Mr Obama may be held to a greater degree of accountability on the issue now as both parties paint the other as waging a war against women. Brace yourself. In a mere 271 days, you and your fellow Americans will be hit with a tax hike the likes of which this country has never seen. The Washington Post aptly called the unprecedented $494 billion tax hike “Taxmageddon”, and Federal Reserve Chairman Ben Bernanke described it as a “massive fiscal cliff.” Whatever your preferred imagery, it’s a really big deal. Despite all the warnings, President Barack Obama has kept his silence while Congress has made no apparent effort to prevent this impending calamity to families and the economy. The prevailing wisdom is that “something will get done” in a lame duck session of Congress after the election. But why wait? And why after the election? Here’s why you should be worried. For starters, remember that this is the same President who in 2009 promised, “if your family earns less than $250,000 a year, you will not see your taxes increased a single dime.” That’s a vow he’s broken, and in 2013, things are going to get even worse if this year Obama doesn’t lead and Congress doesn’t act. Katy, bar the door, there’s big trouble in store. 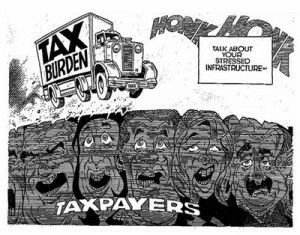 Almost 34 percent of the tax increase from Taxmageddon comes from the expiration of the 2001 and 2003 Bush tax cuts. These cuts are best known for reducing marginal income tax rates, but they also reduced the marriage penalty, increased the Child Tax Credit and the adoption credit, and increased tax breaks for education costs and dependent care costs. 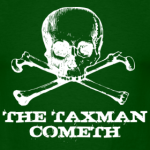 Another 25 percent of Taxmageddon comes from the expiration of the once-temporary payroll tax cut. 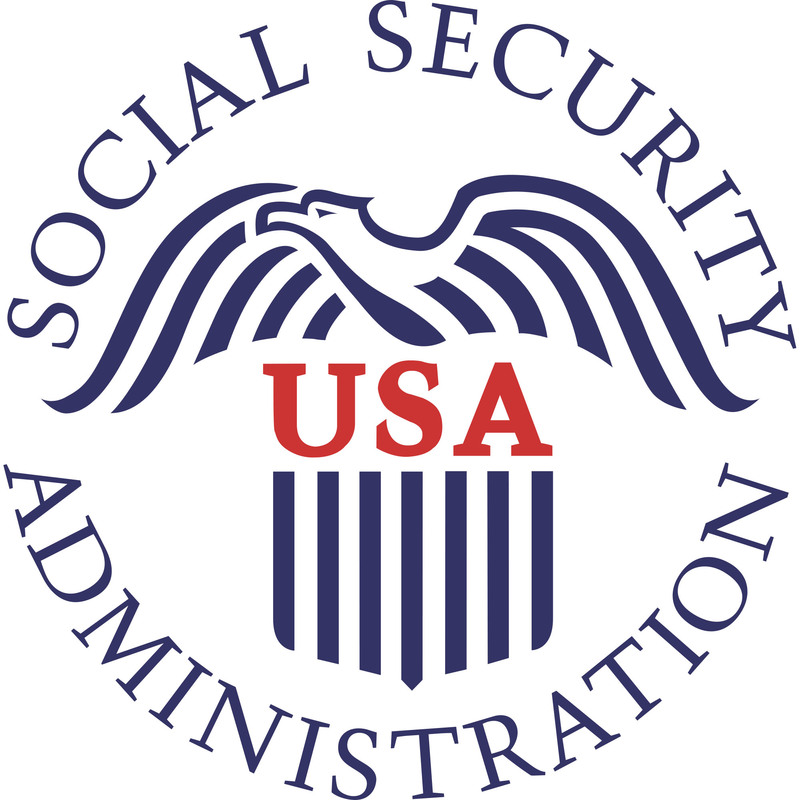 The expiration of the patch on the Alternative Minimum Tax (AMT) — which would raise the income threshold over which families qualify for the AMT to prevent middle-income families from paying this tax that is only supposed to impact “the rich” — accounts for 24 percent of the total potential 2013 tax increase. The balance of the tax hikes comes in part from new taxes under Obamacare, the expiration of tax cuts in the 2009 stimulus, the expiration of a group of policies known as “tax extenders,” changes in the current policy on the death tax (in 2013, it will rise from 35 percent today to 55 percent and the exemption will fall from $5 million to $3.5 million), and the expiration of businesses’ ability to fully expense new capital investments. This $494 billion in higher taxes will certainly hit families and business hard in 2013, but their effects are already being felt. Dubay explains that Americans must plan for tomorrow, and the tremendous uncertainty about tax policy makes the future much more uncertain, thus discouraging the investments and other actions needed to spur the economy to create jobs faster today. Early on in his presidency, Barack Obama said he knew about the impact of taxes. Back in 2009, on a visit to Elkhart, Indiana, Obama emphatically stated his belief that raising taxes in a recession is a bad idea. Though America is not in recession today, it still struggles with very high unemployment, and so the President’s logic applies with equal force — raising taxes is a drag on job creation. 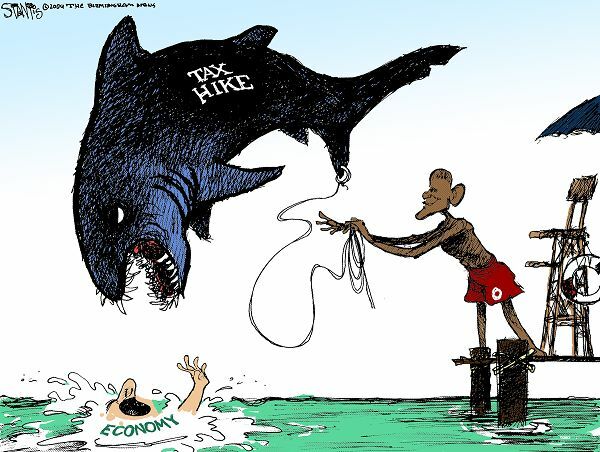 Unfortunately, in a speech in Washington on Tuesday, President Obama unabashedly revealed that preventing tax hikes is not his priority. In fact, he wants to see even more taxes imposed on the American people and on job creators all in the name of “fairness” — may of which are in his budget. That’s a political doctrine, not an economic policy, and it’s a proven recipe for economic disaster. If the President doesn’t work with Congress to take action soon to prevent a 2013 Taxmageddon, his brand of “fairness” will result in the biggest tax increase in the nation’s history. And that storm will wreak even more damage on America’s already fragile economy. Congress shouldn’t wait for Obama to take the lead in preventing a policy nightmare he might actually favor. Instead, it should act now to prevent these tax hikes from crushing America’s families and our economy. 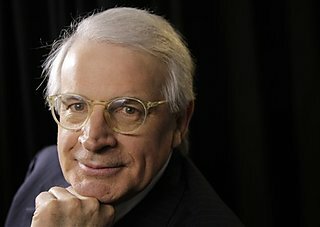 David Stockman was the brash former whiz kid Budget Director of the Reagan Administration & one of the architects of the Reagan Revolution. He’s older & grayer now. He has become a scared investor who doesn’t own a single stock for fear of another financial crisis. Q: Why are you so down on the U.S. economy? A: It’s become super-saturated with debt. Typically, the private and public sectors would borrow $1.50 or $1.60 each year for every $1 of GDP growth. That was the golden constant. It had been at that ratio for 100 years save for some minor squiggles during the bottom of the Depression. By the time we got to the mid-’90s, we were borrowing $3 for every $1 of GDP growth. And by the time we got to the peak in 2006 or 2007, we were actually taking on $6 of new debt to grind out $1 of new GDP. People were taking $25,000, $50,000 out of their home for the fourth refinancing. That’s what was keeping the economy going, creating jobs in restaurants, creating jobs in retail, creating jobs as gardeners, creating jobs as Pilates instructors that were not supportable with organic earnings and income. It wasn’t sustainable. It wasn’t real consumption or real income. It was bubble economics. So even the 1.6 percent (annual GDP growth in the past decade) is overstating what’s really going on in our economy. Q: How fast can the U.S. economy grow? A: People would say the standard is 3, 3.5 percent. I don’t even know if we could grow at 1 or 2 percent. When you have to stop borrowing at these tremendous rates, the rate of GDP expansion stops as well. Q: But the unemployment rate is falling and companies in the Standard & Poor’s 500 are making more money than ever. A: That’s very short-term. Look at the data that really counts. The 131.7 million (jobs in November) was first achieved in February 2000. That number has gone nowhere for 12 years. Another measure is the rate of investment in new plant and equipment. There is no sustained net investment in our economy. The rate of growth since 2000 (in what the Commerce Department calls non-residential fixed investment) has been 0.8 percent — hardly measurable. Q: What will 10-year Treasurys yield in a year or five years? A: I have no guess, but I do know where it is now (a yield of about 2 percent) is totally artificial. It’s the result of massive purchases by not only the Fed but all of the other central banks of the world. Q: What’s wrong with that? A: It doesn’t come out of savings. It’s made up money. It’s printing press money. When the Fed buys $5 billion worth of bonds this morning, which it’s doing periodically, it simply deposits $5 billion in the bank accounts of the eight dealers they buy the bonds from. Q: And what are the consequences of that? A: The consequences are horrendous. 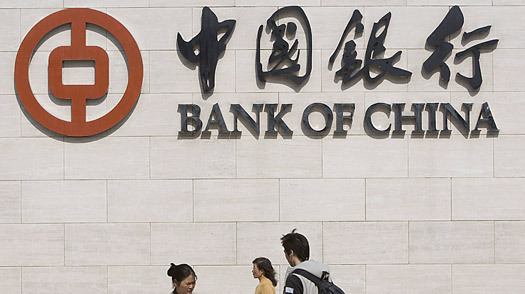 If you could make the world rich by having all the central banks print unlimited money, then we have been making a mistake for the last several thousand years of human history. Q: How does it end? A: At some point confidence is lost, and people don’t want to own the (Treasury) paper. I mean why in the world, when the inflation rate has been 2.5 percent for the last 15 years, would you want to own a five-year note today at 80 basis points (0.8 percent)? If the central banks ever stop buying, or actually begin to reduce their totally bloated, abnormal, freakishly large balance sheets, all of these speculators are going to sell their bonds in a heartbeat. That’s what happened in Greece. Here’s the heart of the matter. The Fed is a patsy. It is a pathetic dependent of the big Wall Street banks, traders and hedge funds. Everything (it does) is designed to keep this rickety structure from unwinding. If you had a (former Fed Chairman) Paul Volcker running the Fed today 7/8— utterly fearless and independent and willing to scare the hell out of the market any day of the week — you wouldn’t have half, you wouldn’t have 95 percent, of the speculative positions today. Q: You sound as if we’re facing a financial crisis like the one that followed the collapse of Lehman Brothers in 2008. A: Oh, far worse than Lehman. 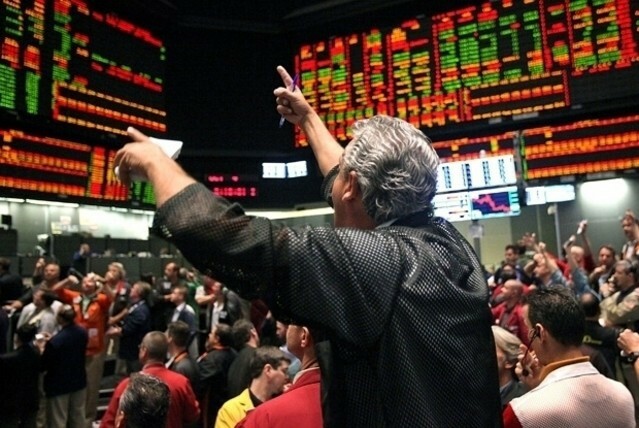 When the real margin call in the great beyond arrives, the carnage will be unimaginable. 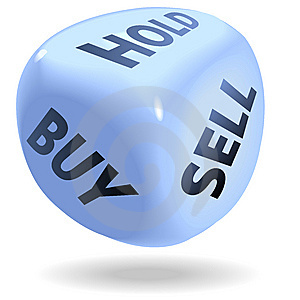 Q: How do investors protect themselves? What about the stock market? A: I wouldn’t touch the stock market with a 100-foot pole. It’s a dangerous place. It’s not safe for men, women or children. Q: Do you own any shares? A: The typical multiple is based on a historic period when the economy could grow at a standard rate. The idea that you can capitalize this market at a rate that was safe to capitalize it in 1990 or 1970 or 1955 is a large mistake. It’s a Wall Street sales pitch. Q: Are you in short-term Treasurys? A: I’m just in short-term, yeah. Call it cash. I have some gold. I’m not going to take any risk. Q: No munis, no stocks. Wow. You’re not making any money. A: Capital preservation is what your first, second and third priority ought to be in a system that is so jerry-built, so fragile, so exposed to major breakdown that it’s not worth what you think you might be able to earn over six months or two years or three years if they can keep the baling wire and bubble gum holding the system together, OK? It’s not worth it. Q: Give me your prescription to fix the economy. A: We have to eat our broccoli for a good period of time. And that means our taxes are going to go up on everybody, not just the rich. It means that we have to stop subsidizing debt by getting a sane set of people back in charge of the Fed, getting interest rates back to some kind of level that reflects the risk of holding debt over time. I think the federal funds rate ought to be 3 percent or 4 percent. (It is zero to 0.25 percent.) I mean, that’s normal in an economy with inflation at 2 percent or 3 percent. A: It has to be means-tested. And Medicare needs to be means-tested. If you’re a more affluent retiree, you should have your benefits cut back, pay a higher premium for Medicare. A: Why not? I mean, is return on capital any more virtuous than some guy who’s driving a bus all day and working hard and trying to support his family? You know, with capital gains, they give you this mythology. You’re going to encourage a bunch of more jobs to appear. No, most of capital gains goes to speculators in real estate and other assets who basically lever up companies, lever up buildings, use the current income to pay the interest and after a holding period then sell the residual, the equity, and get it taxed at 15 percent. What’s so brilliant about that? You worked for Blackstone, a financial services firm that focuses on leveraged buyouts and whose gains are taxed at 15 percent, then started your own buyout fund. Now you‘re saying there’s too much debt. You were part of that debt explosion, weren’t you? A: Well, yeah, and maybe you can learn something from what happens over time. I was against the debt explosion in the Reagan era. I tried to fight the deficit, but I couldn’t. When I was in the private sector, I was in the leveraged buyout business. I finally learned a heck of a lot about the dangers of debt. I’m a libertarian. If someone wants to do leveraged buyouts, more power to them. If they want to have a brothel, let them run a brothel. But it doesn’t mean that public policy ought to be biased dramatically to encourage one kind of business arrangement over another. And right now public policy and taxes and free money from the Fed are encouraging way too much debt, way too much speculation and not enough productive real investment and growth. Q: Why are you writing a book? A: I got so outraged by the bailouts of Wall Street in September 2008. 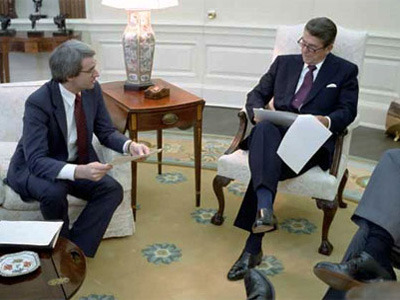 I believed that Bush and (former Treasury Secretary Hank) Paulson were totally trashing the Reagan legacy, whatever was left, which did at least begin to resuscitate the idea of free markets and a free economy. And these characters came in and panicked and basically gave capitalism a smelly name and they made it impossible to have fiscal discipline going forward. If you’re going to bail out Wall Street, what aren’t you going to bail out? So that started my re-engagement, let’s say, in the policy debate.